Just 18g in weight, this Titanium folding spork is super lightweight and compact, Its a great universal eating tool, it can be locked into position for use or folded neatly away taking up very little room.The spoon bowl has end teeth to help 'encourage' food your way and the tool comes with its own nylon bag for hygiene. Titanium was discovered in Cornwall in the UK in 1791, and it was soon recognized as an extremely useful metal. Its principal properties are superb corrosion resistance (even to sea water) and its extremely high strength to weight ratio. 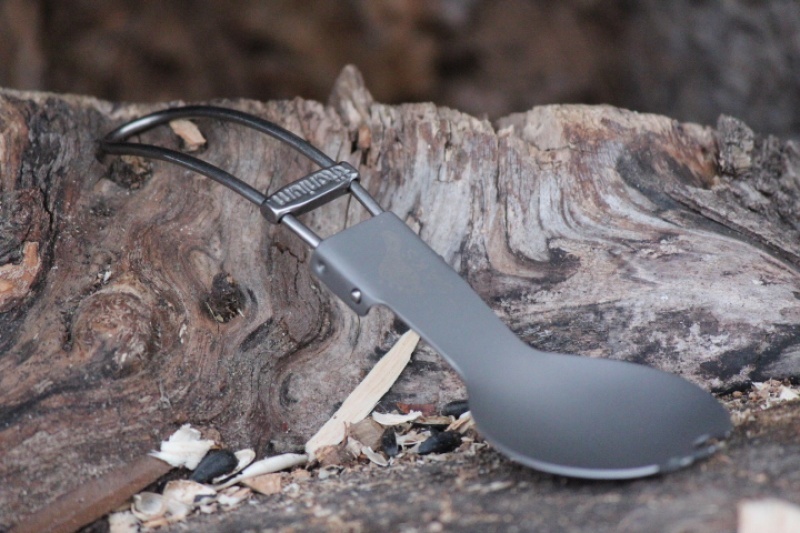 Its approx 45% ligther weight than steel, while exhibiting roughly the same strength, so there are significant weight savings in Titanium items (its also twice as strong as aluminum) its also fairly hard . The downside is the price, its much more expensive to extract and make than steel or aluminum. Its named after the Greek god Titan, in recognition of its great strength. 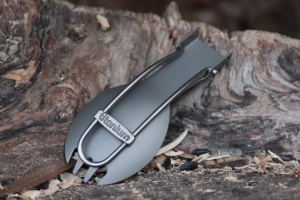 Purchase through PayPal by using the "Add To Cart" button above or use the form below to order the Titanium folding Spork . 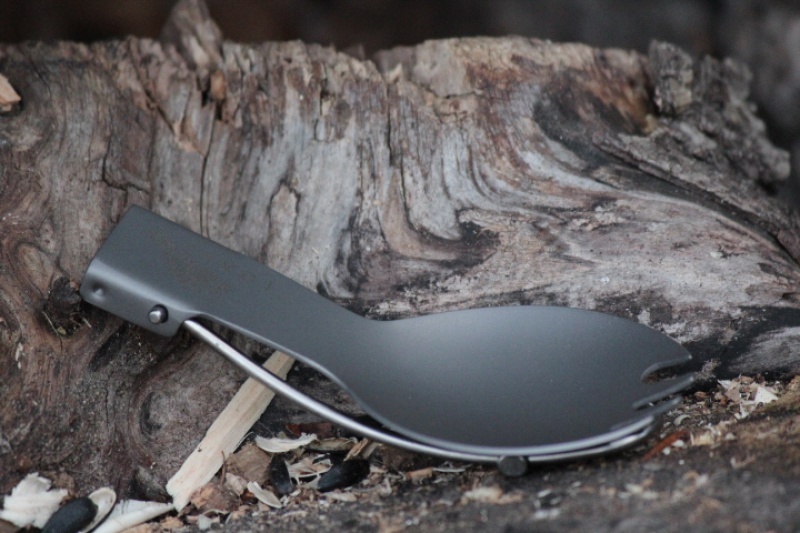 Feel free to contact us if you have any questions about the Titanium folding Spork .